While some of us are still using the little green box given to us by the local council for our food waste, this little number can upgrade your kitchen composting to new heights. The biggest benefit of this sturdy little cylinder is the activated-charcoal odour blockers. It’s bigger than most of the others on the market, which means fewer trips to the main bin. Buy it here for £18.99. While plastic and metal may be cheap and convenient, there is no substituting for style. 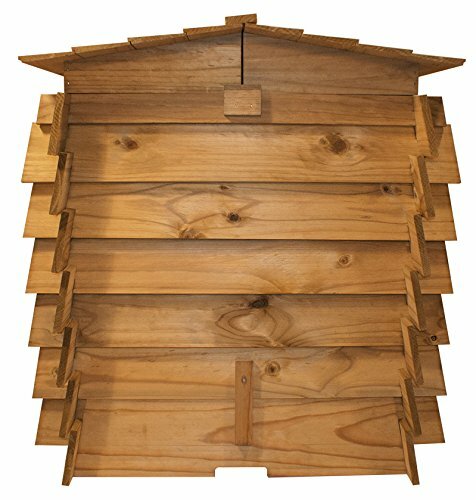 This durable double hinged model has an impressive 328 litre capacity and is a lot easier to assemble than it looks. 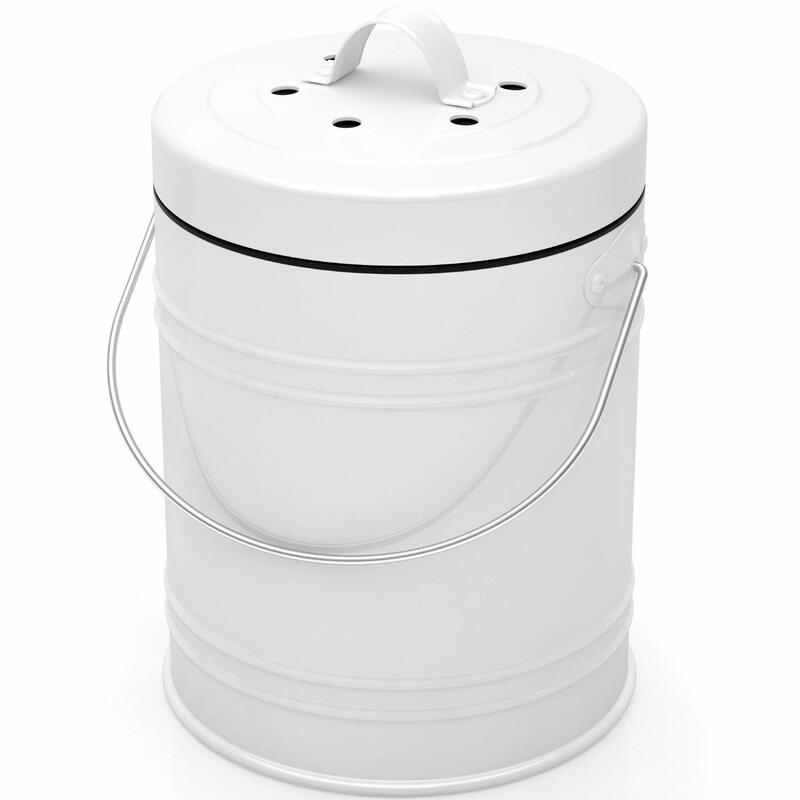 It’s also a great way to avoid the environmental problems of a plastic composter. Buy it here for £69.99. Tumbling composters have become more and more popular in recent years owing to their simplicity, faster composting process, and the fact that they’re raised off the ground preventing rats and other pest problems. Although you have to put it together yourself (not as simple as you think, but leaves you with a great sense of achievement), the 210 litre capacity and dual drum system make it one of our favourites. Buy it here for £99.95. Okay, it’s a lot of money, I get it, but the Envirocycle has so many FEATURES. This bad boy is made from super hard wearing weather resistant plastic and comes already pre-assembled. 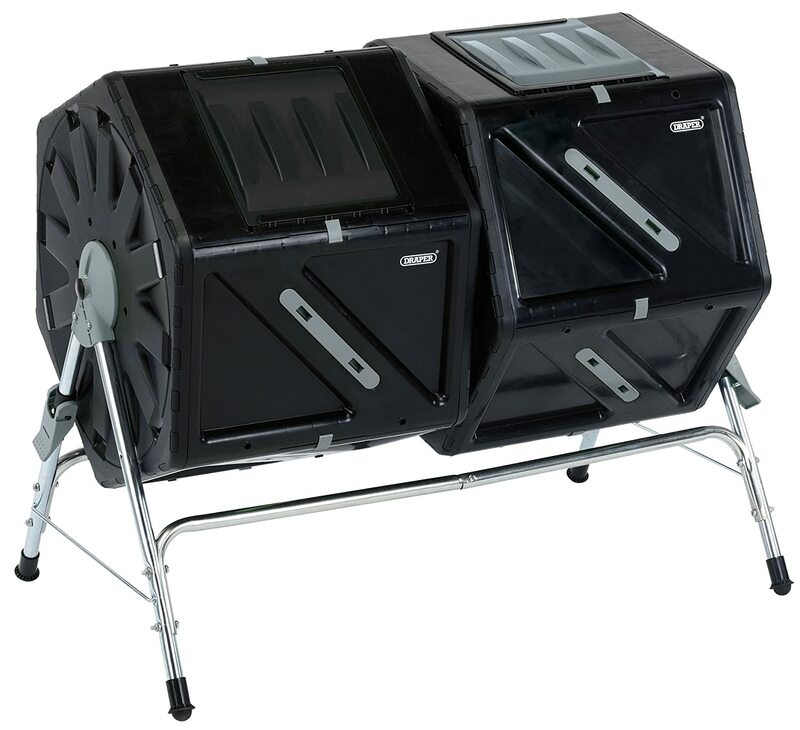 It’s not the biggest capacity, but it has built in rollers and perhaps coolest of all it has a built in drainage system which collects up all the liquids into what Envirocycle call a “compost tea”. Not exactly PG tips, but perfect for the vegetable patch. 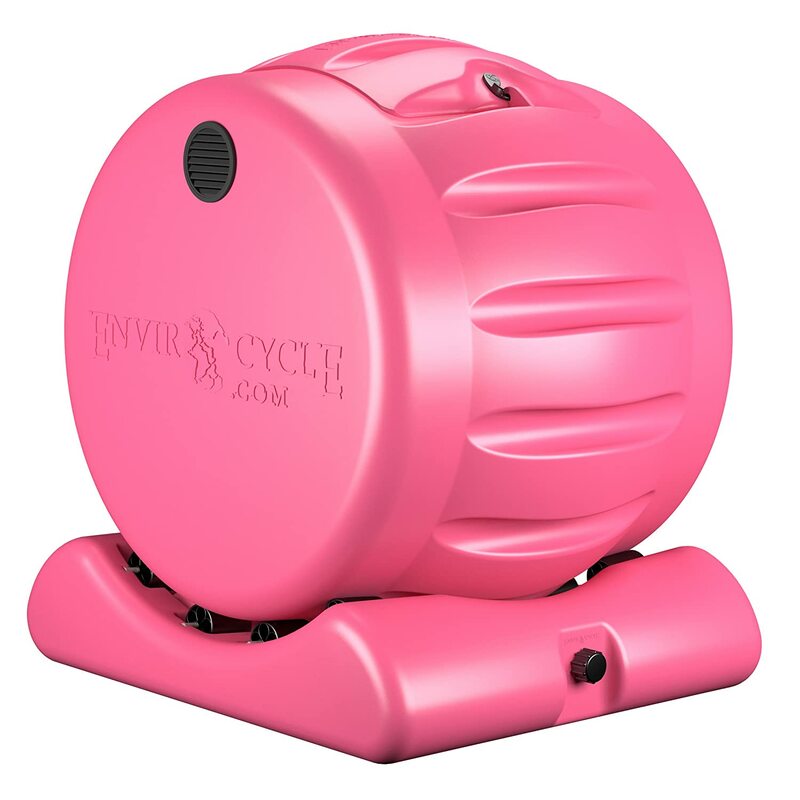 The Envirocycle comes in black too, but come on. Pink. From the very extravagant to the very simple. 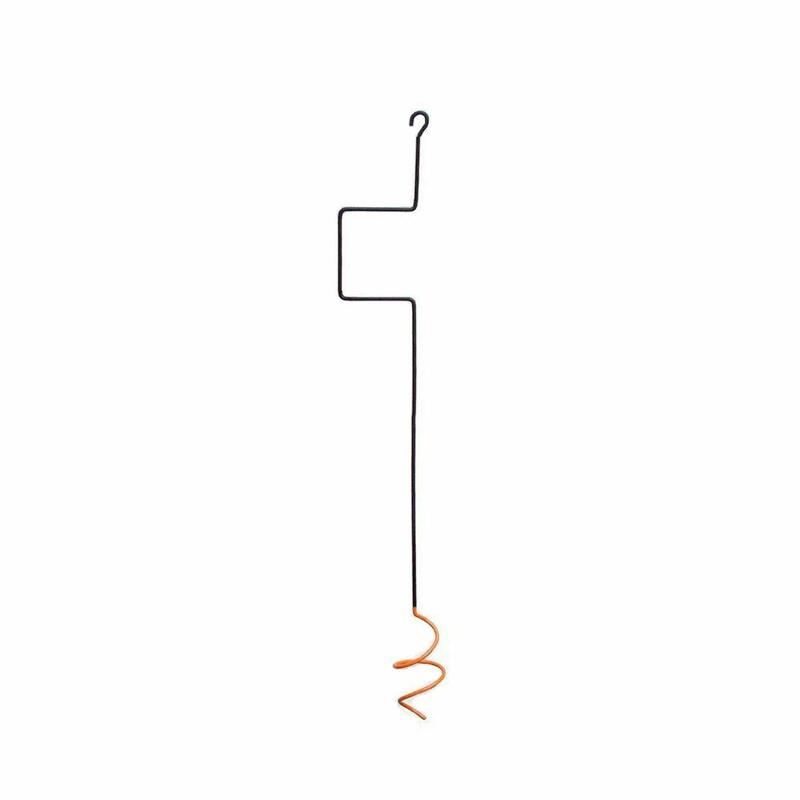 This compost mixer and aerator tool makes the most of your composting experience by agitating the waste, allowing air in, and encouraging the entire process. While you wouldn’t need one if you have a tumbling composter, they’re a cheap and easy addition to turn a bog standard compost bin into a next level composting dream.